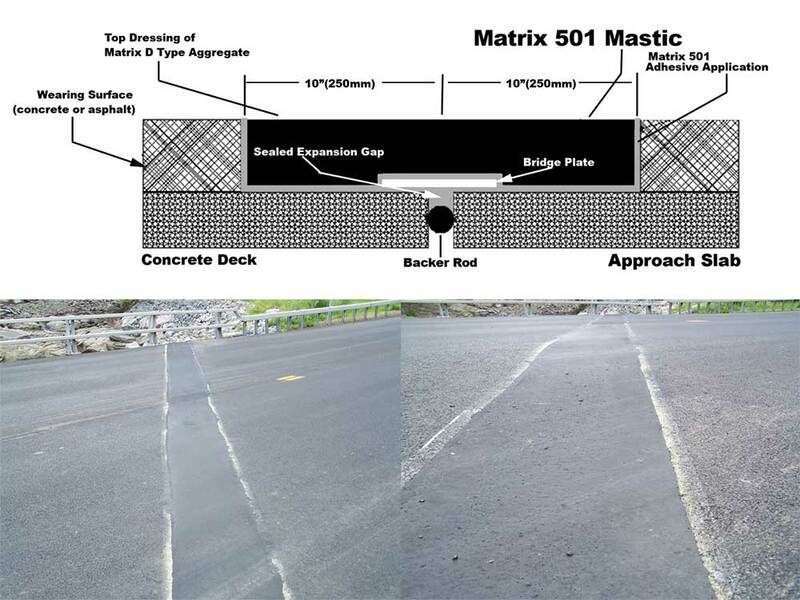 The Crafco Matrix 501 Asphaltic Plug Bridge Joint System is a pre-measured, pre-blended, hot-applied bridge expansion joint system composed of a uniquely formulated polymer modified asphalt binder and select aggregate. Simply level the material and allow to cool. No compaction is required. Matrix 501 can be used for expansion, fixed end, and pressure relief joints, in both new construction or rehabilitation projects. Matrix 501 can be installed on skews up to 30 degrees (up to 45 degrees for low traffic pavements). Crafco Matrix 501 is low cost, quick, and easy to install and maintain. Crafco Matrix 501 joints meets the requirements of ASTM D6297, Standard Specification for Asphaltic Plug Joints for Bridges.